SEAMAN JOB INFO - Posted/Jan/2019 COC Marine Sdn. Bhd. 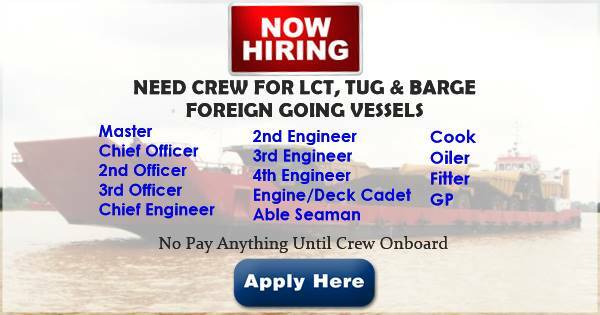 Available jobs for Malaysian seafarers crew join on LCT, Tug and Barge, Foreign Going Vessels deployment A.S.A.P. Email: patrick.soh@cocmarine.com / www.cocmarine.com / Contact: +6017-386 3900. 0 Response to "Crew Recruitmet For LCT, Tug and Barge, Foreign Going Vessels"